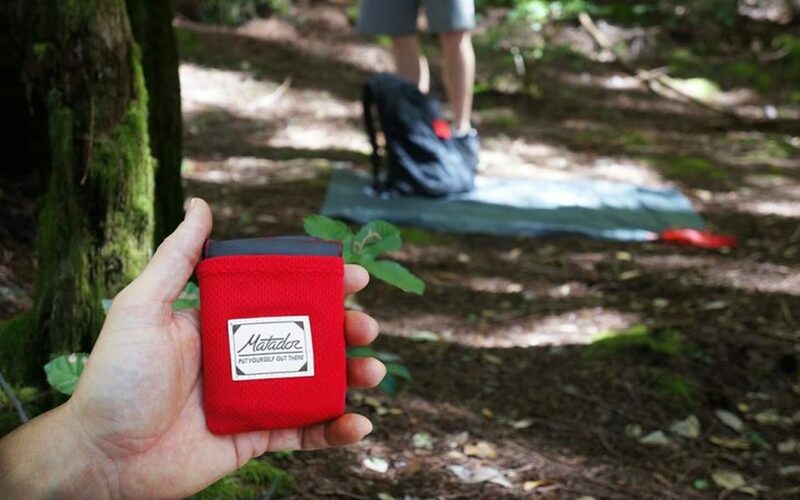 No matter where in the world you’re planning on traveling, it’s always far more enjoyable when you have the right travel accessories for women, the best vanlife socks, and epic travel gadgets with you! After five years of traveling the world full-time, both traditionally, and as a vanlifer – I decided that now is the time to share some of my best travel accessory finds with fellow intrepid female travelers. So without further ado, here are my top ten picks to make every trip better, and best of all you can fit them all in your hand luggage! The Tropic shoe has just launched on Kickstarter and is touted as the ultimate travel shoe by its makers. 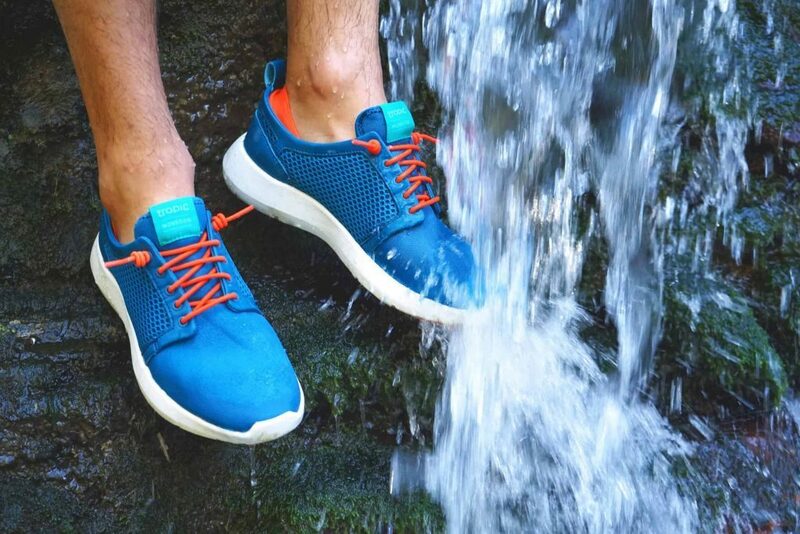 With a funding goal of 12,500 Euros, this lightweight, water-friendly, vegan and comfy pair of trainers has well and truly surpassed that. Funding currently sits at 835,000 euros (at time of publication), and some of that is thanks to my order from not a moment ago! Expected delivery is September 2018. 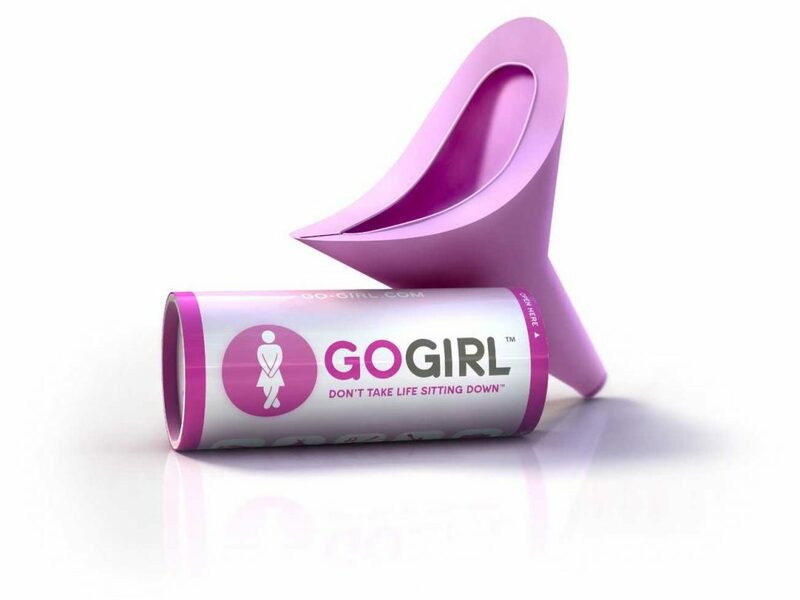 As a full-time vanlifer, the GoGirl female pee-pee device is a godsend. Seriously, it’s easy to use, there are no leaks, and it’s made from silicone – making it both easy to clean and easy to store. I’ve had mine since we started out on our vanlife journey almost one year ago, and I’m always telling people how great it is. Did I mention that it comes in hot pink?! That’s a perfect addition to the travel accessories for women list! Microfiber towels are incredibly compact miracle makers; they fold to the size of a small paperback yet fold out to be large enough to wrap my whole body in! It is harder work to get dry using a microfiber towel than the regular variety, but for the space that it saves, I’d always recommend the microfiber. We bought our current ones around three years ago, and they’re still going strong! I get cold incredibly easily, and lugging around jumpers and jackets takes up precious space that I don’t have. Instead, I bring my trusty hot water bottle! When empty of water it packs flat, takes up minimal room, and doesn’t weigh much. 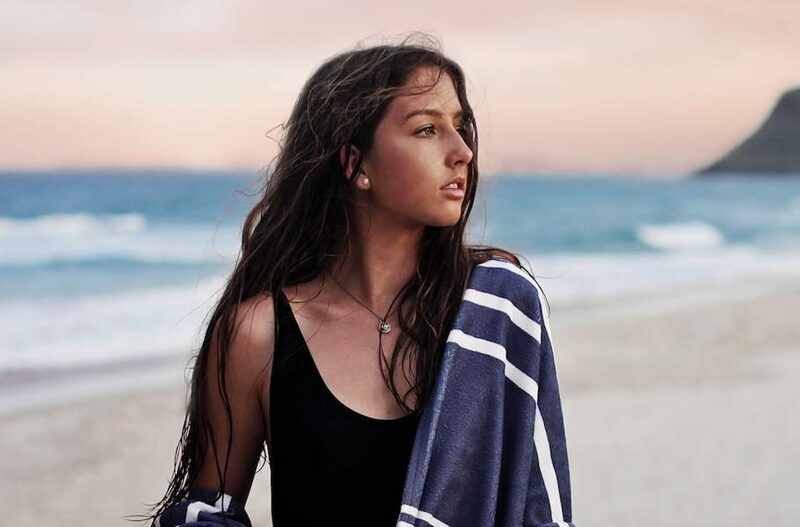 With one fill, it stays warm for up to six hours, perfect for chilly days or to relieve period cramps! 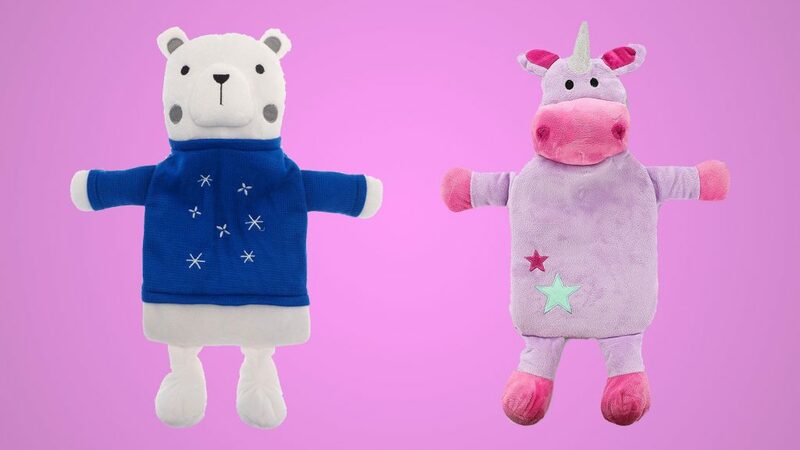 And we found versions that come in these adorable characters! Look at the unicorn!!! Now this isn’t really specifically designed for travel accessories for women but every traveler should carry their own Mifi device even you men! 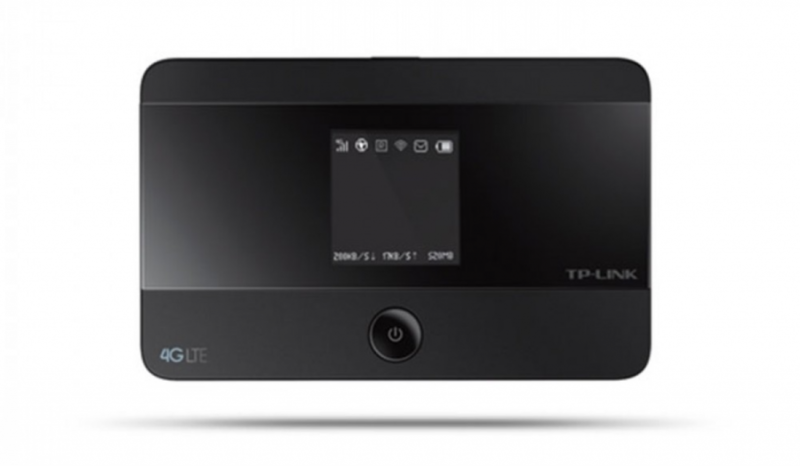 We use the TP-Link Mifi together with an EE sim card which provides us with 30GB of data for £30 per month. If you’re a fellow digital nomad, you likely know the challenge of finding places with good enough internet to work from. But since getting the Mifi, it has allowed us to work from just about anywhere. So occasionally when we head to a coffee shop, and their internet is too slow, we don’t have to take extra time to find a new work spot – instead, we whip out the Mifi, and the workday is saved! Yes I travel full-time and yes I’m a vanlifer – but that doesn’t mean that I don’t like having a good variety of outfits to fit with every mood and occasion. If you’re like me and struggle to keep your van life tshirts organized – packing cubes are the answer. I have four, one for underwear, one for tops, one for bottoms, and one for fancy attire that I don’t wear very often. 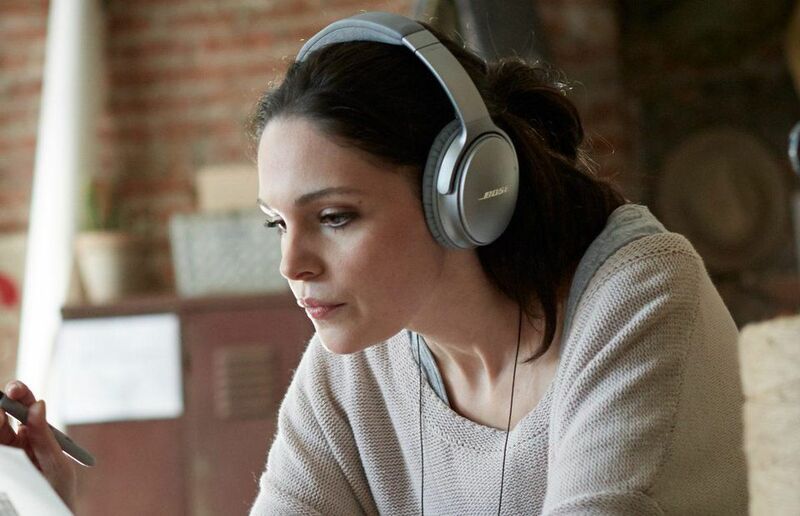 When you’re travelling from location to location – you have to buy noise-canceling headphones, I’m not negotiating; I’m just telling you – for the love of yourself, do it! The most headache-inducing noise in the world has to be terrible radio signal and the sound of cars bombing it past you. I mean, sure, we love listening to the wildlife – but geez, the busy roads and chaotic cities just don’t go well with keeping the mind empty. And best of all, when you want to get your digital nomad hustle on when you’re parked up, pop this beauties on and you’re in a whole different world, ready to get work done. I’m always surprised by the fact that most travelers I meet don’t carry a sewing kit. The amount of clothes that I have, and that David has, that would have been ruined if I didn’t stitch up any tiny holes as soon as I see them is immense. 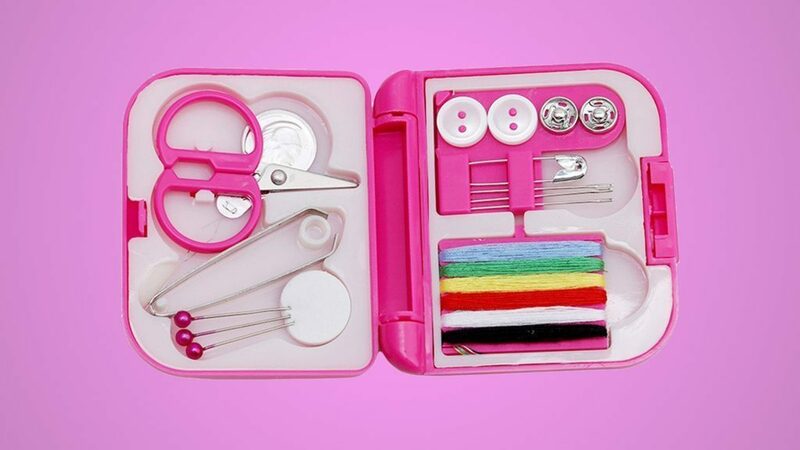 A travel sewing kit is usually no bigger than an iPhone, and you don’t have to be great at sewing to stitch things up. Throw a travel sewing kit in the bottom of your toiletries bag; you’ll thank me sooner or later. 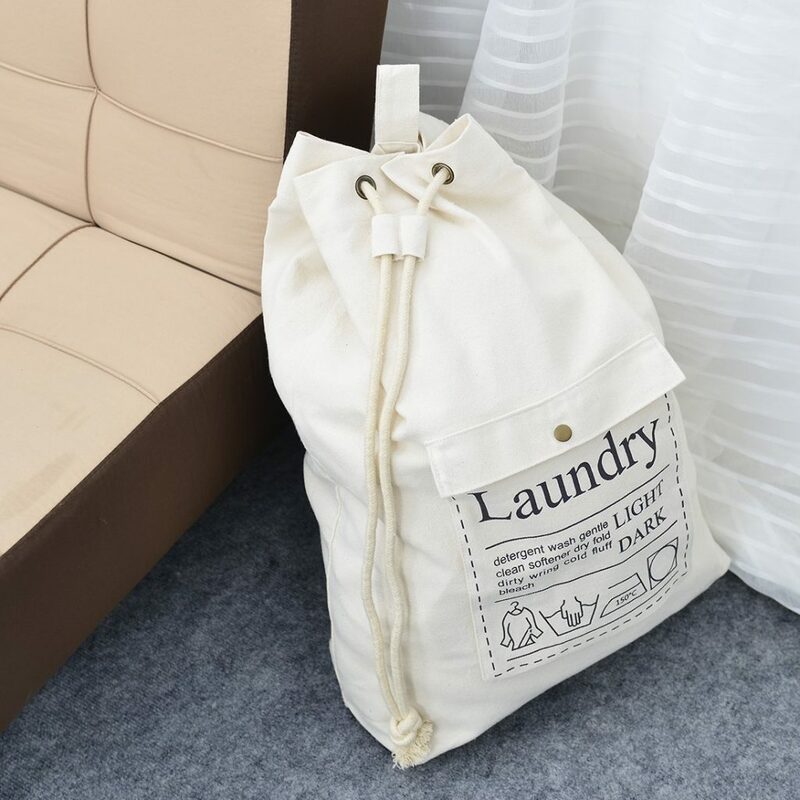 For the first year or two of traveling, I didn’t have a laundry bag; I’d throw my laundry into a pile, or loosey-goosey in my little suitcase so that I knew everything out of a packing cube needed washing. This strategy makes everything smell of old socks. And then you have to wash everything. Don’t do it! Instead, buy yourself a cute little foldable bag to keep your laundry adequately separated from the rest of your attire. Is it just me that absolutely adores picnics?! I mean, I am British, so who knows – I could just be living up to a stereotype! But whether you’re a picnic person, or just like being ready for coziness – this itsy bitsy teeny weeny blanket is a delightful thing to own – or to give as a gift to your travel gal pals! 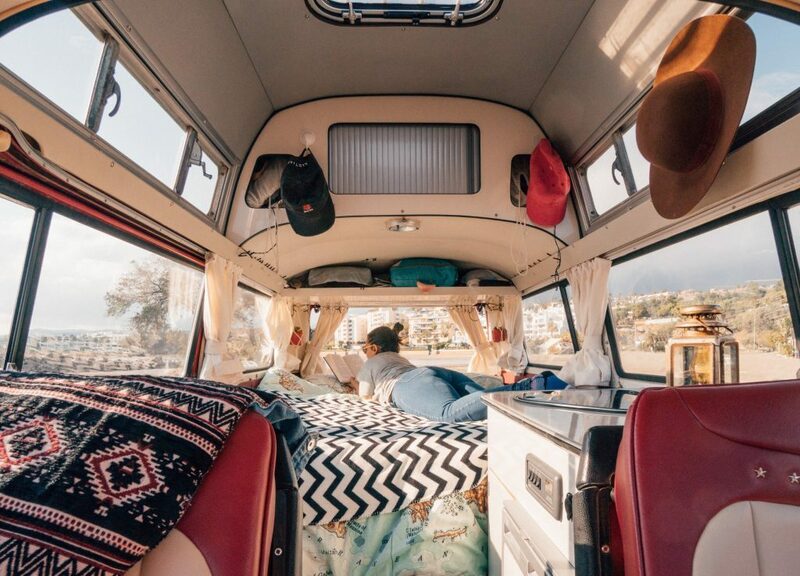 So there’s our top travel accessories for women who are living the van life or love to go on those weekend trips in their camper! Let us know if you know of any other products that you can’t live without! 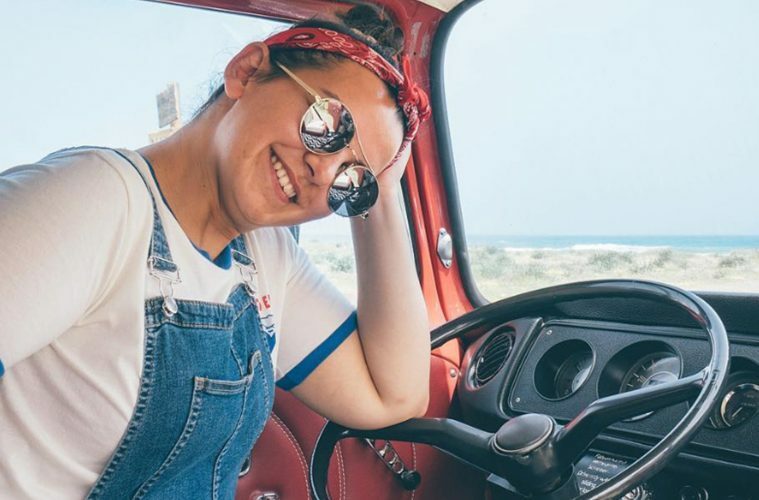 Nadia is megafan of travel products, a full-time vanlifer, and a professional writer to boot. Raised in the English countryside, you’ll now find her exploring the globe with her boyfriend aboard their 1969 VW named Red! If you want to read more of her ramblings, head over to SayingYes.is or check out their Instagram @SayingYesIs. A big thank you from Van Clan to Nadia for writing this guest post! You’re welcome back whenever you please! Also make sure to check out this great van life interview from our friends at CarRentals.com.